Two lawyers, Ikenga Ugochinyere and Kenneth Udeze, have approached the Federal High Court, Abuja to declare as illegal the Executive Order 6 issued by President Muhammadu Buhari. The order provides for seizure of assets linked to anyone undergoing criminal trials and investigations. The plaintiffs are also praying the court to restrain both President Buhari and the Attorney-General of the Federation and Minister of Justice, Mr. Abubakar Malami (SAN), who coordinates implementation of the order, from enforcing it. 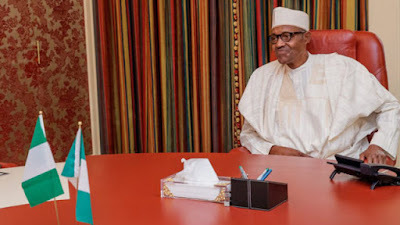 Buhari had on July 5 issued the Presidential Executive Order No. 6 of 2018 on the Preservation of Assets Connected with Corruption and Other Related Offences. Ugochinyere and Udenze, through their counsel, Mr. Obed Agu, argued that the order contravened constitutional provisions. In the originating summon brought pursuant to Sections 5, 36, 43 and 251 (1) (Q) of the constitution of the Federal Republic of Nigeria, the plaintiffs argued that the president lacked the power to issue the order. They further argued that the president’s action or conduct in issuing the order interfered with or encroached into the ownership of assets or properties of any person without such person being found guilty by a court of competent jurisdiction. At the resumed sitting of the court yesterday, Justice Ijeoma Ojukwu, upon granting the application to hear the suit during recess, fixed August 8 for its consideration. This was as counsel to President Buhari and the AGF, Mr. Bashir Mohammed, raised no objection to the application for adjournment. Meanwhile, President Buhari has sworn-in former Inspector-General of police, Musiliu Smith, as chairman of the Police Service Commission (PSC). Smith will succeed Mike Okiro, also a former inspector-general of police. The ceremony took place before the commencement of the Federal Executive Council (FEC) meeting presided over by Buhari yesterday. Also sworn in as full time commissioners were Clara Ogunbiyi from the North-east, representing the judicial community and AIG Lawal Bawa (rtd) from North-west, representing the police community. Those to serve as members are Mohammed Najatu from the North-west, representing women; Braimoh Adogame Austin from South-South, representing the media community; Rommy Mom from North central, representing human rights community; and Dr. Nkemka Jombo-Ofo from South east, representing the organized private sector.